Pangu Party has welcomed Dulciana Somare into the party as a strategic policy advisor for Pangu Party who the party will lean on to take them thru. to the 2017 General Elections. The daughter of the founder of Pangu Party and Grand Chief Sir Michael Somare didn’t brush aside rumours of contesting in the 2017 general elections under the party banner but said it was too early to discuss. 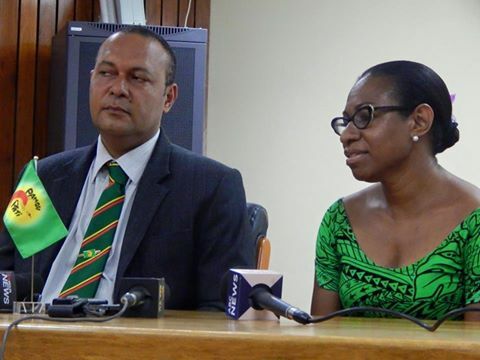 Pangu Party leader and Bulolo MP Sam Basil said Dulciana has a wide range of experience and brings back the connections between the founder of Pangu Party the Grand Chief Sir Michael Somare.